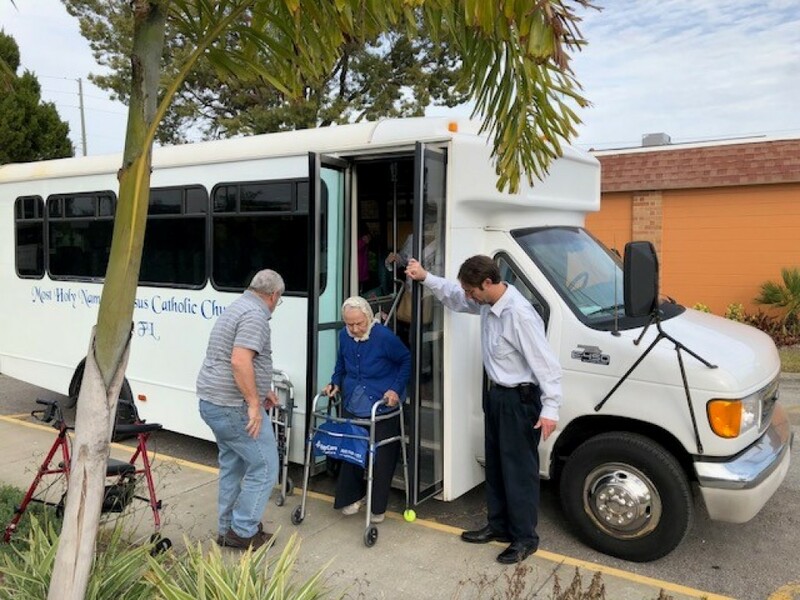 Our mission is to provide all persons–regardless of age or disability– in the Gulfport/South Pasadena area, a way to celebrate weekend and holiday Masses. Sorry, it cannot accommodate wheel chair passengers at this time. Children, with proper seats and supervision, are welcome. Door-to-door pick-up can be arranged, if possible. For questions or to sign up for transport, please contact Joe Feraca, 727-384-1366.